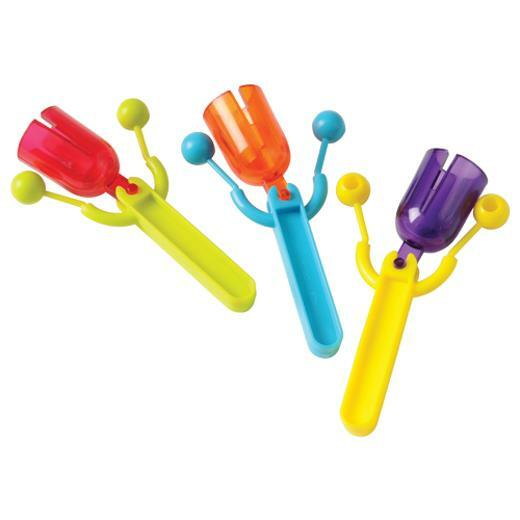 Bell Clackers - 12 Ct.
Mini Hand Clappers - 36 Ct.
Keep the kids entertained with these fun bell clackers. Give these party favors a shake and listen to the entertaining clackety clack noise. A great way to pass the time on long car trips or waiting for a doctor's appointment. L: 6.85 in. W: 2.8 in. H: 7.3 in.